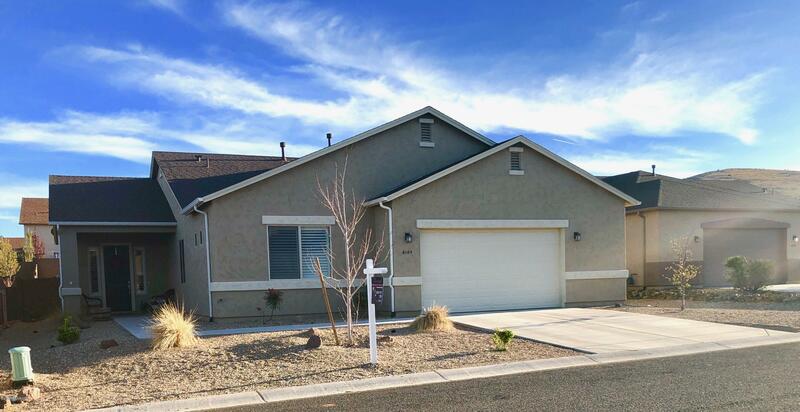 All Granville homes currently listed for sale in Prescott Valley as of 04/23/2019 are shown below. You can change the search criteria at any time by pressing the 'Change Search' button below. 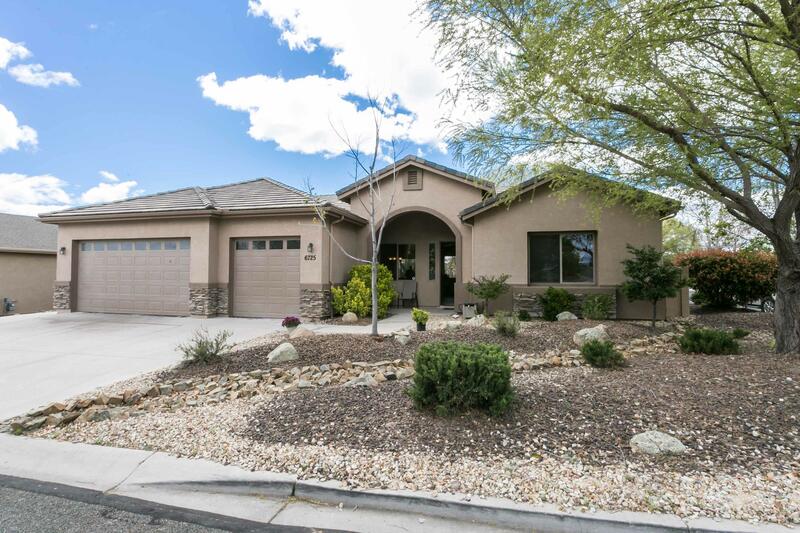 "Immaculate home with warm welcoming floor plan is sure to please. Enter home into open foyer with formal living room to right and open dining room to left. Just ahead is great room with warm gas fireplace and gourmet kitchen. Kitchen is chefs delight with plenty of cabinets, granite counter tops, new appliances including double oven for holiday parties. While cooking you can enjoy views gas fireplace in great room or listen to sounds of your own pond with waterfall in backyard. Game room has "
"Beautiful Granville home located on a premium view lot! This 2887 sf 4 bedroom-plus office-home was built in 2005 on a .23 acre lot and includes a 3 car garage. Featuring designer touches throughout-crown molding in living room, 2 tone paint, custom wood shutters, upgraded cabinets, ceiling fans, and more. Good sized family room includes a cozy corner gas fireplace. Hard surface flooring throughout is perfect for those with allergies or pets! The kitchen features upgraded wood cabinets, granite "
"Built in Jan, 2018. New Property. Best views in Granville Development. Quiet and secure neighborhood. RV Park, Dog Park, walking, running, hiking trails. Hugh backyard that overlooks entire Canyon." "This home is under construction - Estimated completion date Apr. 2019. 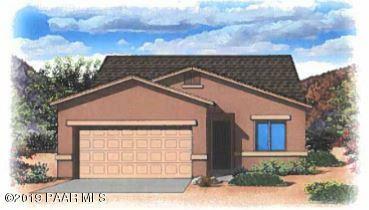 Great 4 bedroom- 2.5 bath floor plan in Unit 10! Price includes options/upgrades: 3 car garage, larger extended patio with French doors from master to patio, paint upgrade, upgraded maple cabinets throughout, waterproof luxury vinyl plank flooring throughout with carpet in bedrooms and a cozy corner fireplace. Bay window and French doors to patio in bedroom 4. Front yard landscaping package with drip system. Too many upgrad"
"This is a WOW home! Completed in 2018 & gently lived in 2bd + office on a cul-de-sac. Nice open floor plan w/split bedrooms, tasteful and current neutral color selection throughout. 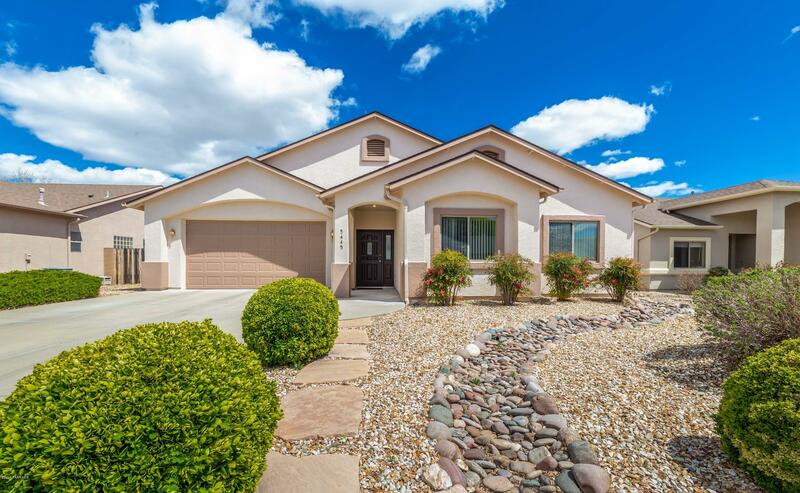 There is a generous amount of oversized tile floors in primary rooms, upgraded carpet in bedrooms, oversized 2 car garage, gorgeous professional backyard landscaping w/fencing. Granite in kitchen w/large island. Delightful covered patio." "You will love living the resort lifestyle in Granville. 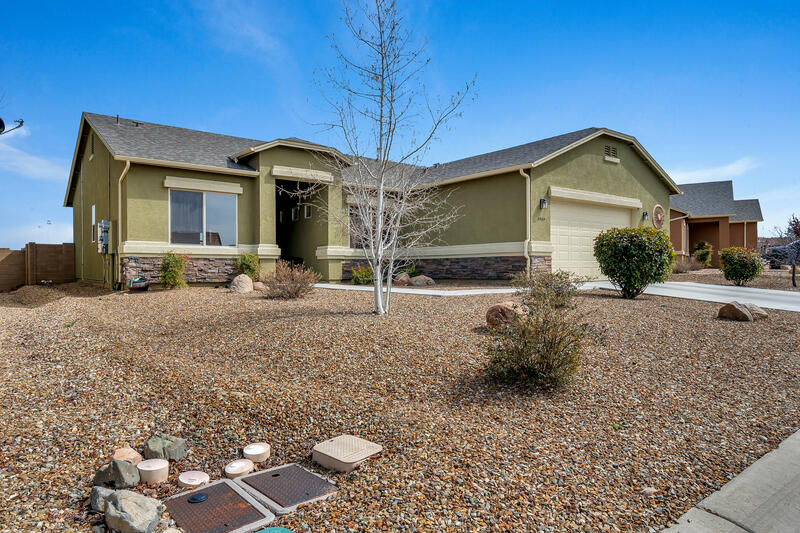 One of Prescott Valley's premier subdivisions. 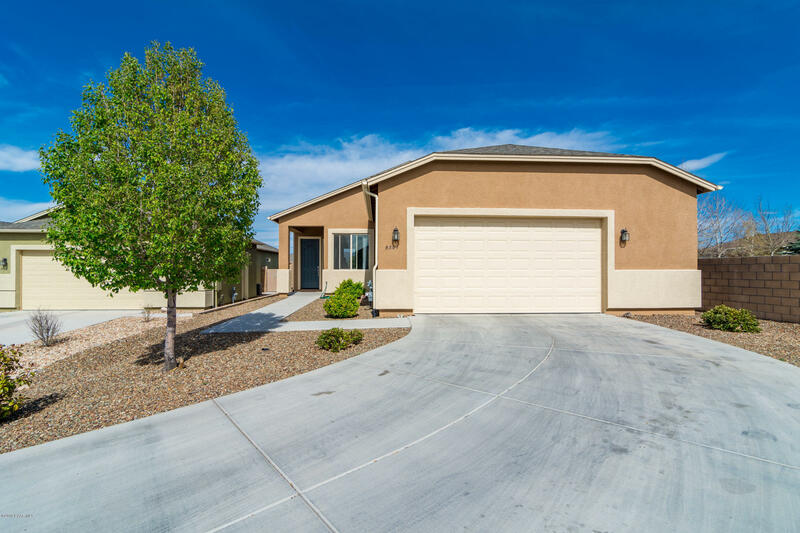 Home features open concept floor plan opening to covered patio and fenced rear yard. Large master suite has private bathroom with dual sinks, snail shower and huge walk in closet. Two spacious guest bedrooms and full bath for family and friends. Kitchen boasts of granite counter counters, tile backsplash, gas range and pantry. 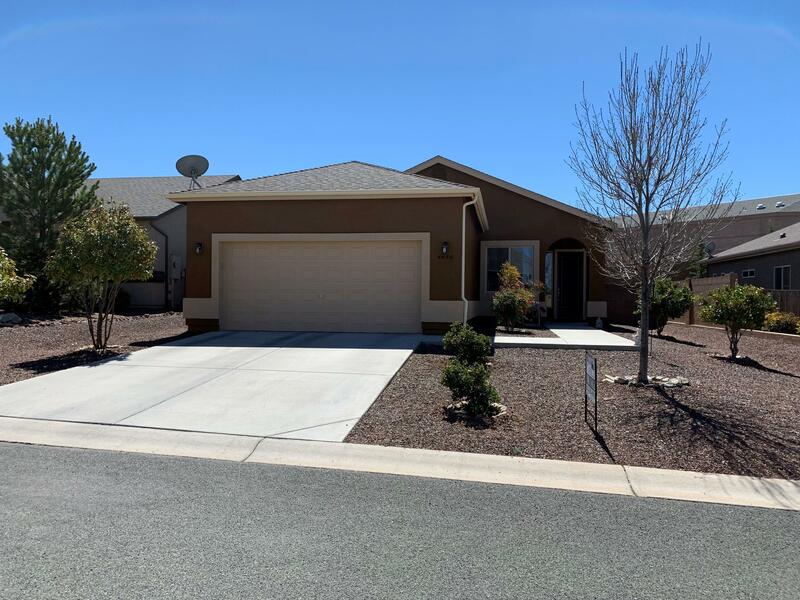 Separate laundry room and garage are an addition to the low maintena"
"Great Home in Granville with views of Glassford Hill and Granite Mountain. Welcome to a well cared for home set on a corner lot. with plenty of parking for guest or entertaining. The 2,041 split floor plan includes 3 bedrooms, 2 baths, and an extra room that can be used for a Formal Dining, Den, or Office. Plantation Shutters throughout. Granite counters in kitchen. Backyard with extended patio great for entertaining or just relaxing. 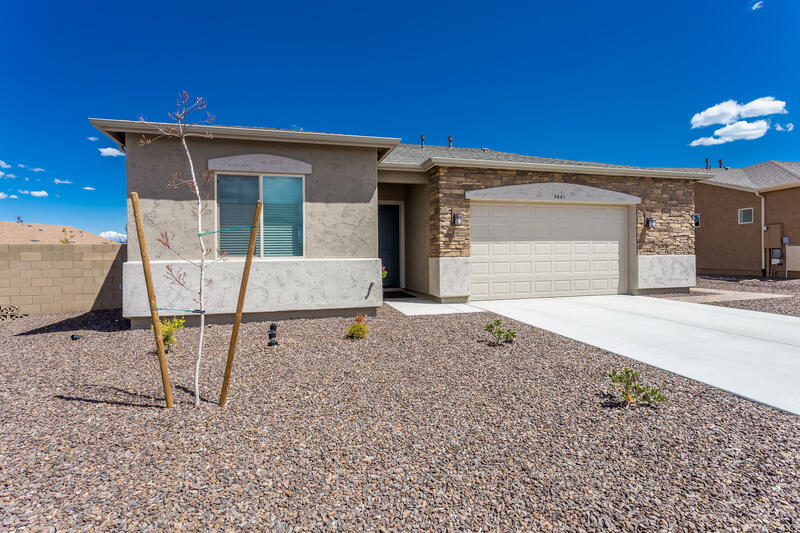 Excellent curb appeal will greet you, including easy-care d"
"Living is easy in this impressive, generously spacious residence with Granite Mountain and Glassford Hill Views. The open floor plan encompasses three spacious bedrooms with plenty of room for study, sleep and entertainment. Enjoy gatherings in the generously-sized living/dining area graced by a gas fireplace, kitchen island, huge windows and the 8 ft glass door that leads out to the rear patio. The kitchen will inspire your inner chef with its solid-surface counters, over-sized center island wi"
"Stunning 3 Bedroom with Office on large lot, split floor plan home located in the heart of Granville. Upgraded cabinetry in the kitchen , with cozy dining area flows well to the open great room. Office has custom built-in desk and shelving. New carpet throughout and well cared for home. Large laundry room. Block fenced backyard is huge with double gates, mature trees and endless possibilities. Located close to the original Granville clubhouse and one of the many community parks within Granville." "Welcome home to Granville! You'll fall in LOVE with the VIEWS, VIEWS, VIEWS here! This home backs up to open space with forever mountain views... 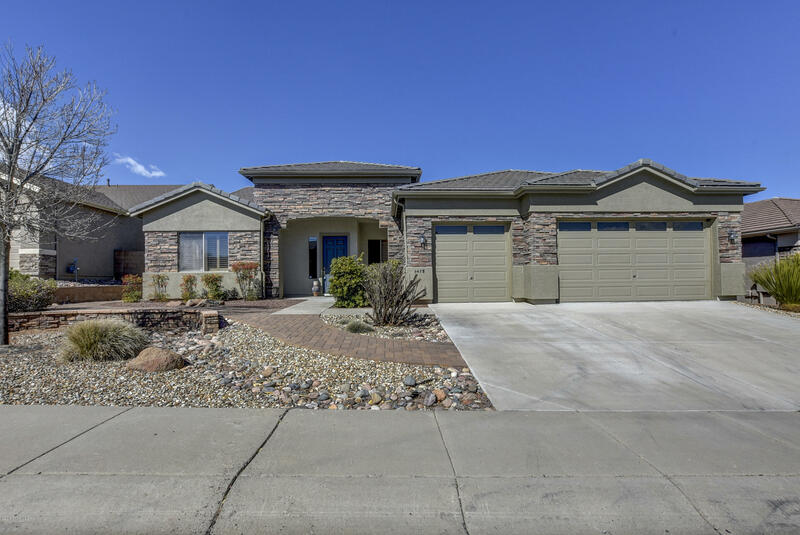 Spacious Great Room w/gas fireplace, split bedroom floor plan, step in shower & double sink vanity in master bath, freshly painted interior in this immaculate, well cared for home. Come see, you won't want to leave!" 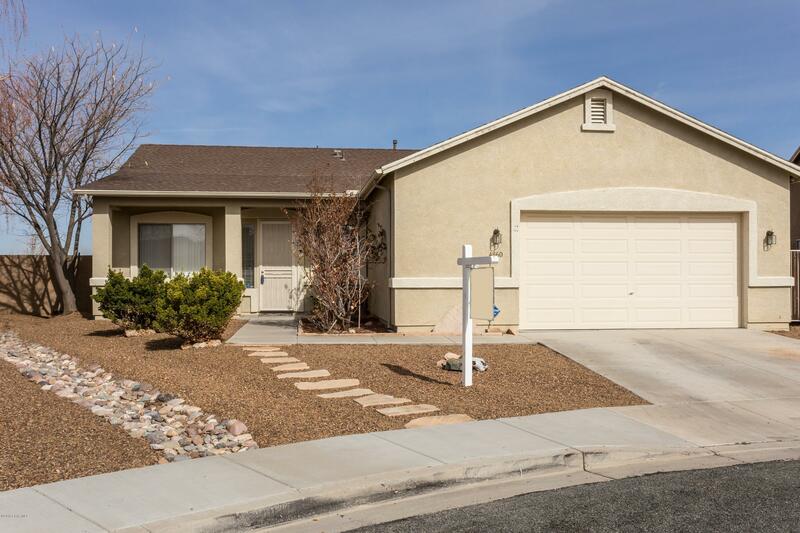 "This home is a fantastic 3 bedroom, 2 bath with a fenced back yard and covered patio. The yard is landscaped with new sod in 2018. Spacious kitchen with a large pantry. Maple cabinets throughout the home. Tile floors except for the bedroom. Brand new carpet with excellent pad! Lighting package. Raised vanity in the master bath. Great floor plan with great space! New Kitchenaide Dishwasher. New LG Refrigerator with French Doors and bottom freezer will convey with the home. Priced to sell!" "Like new home in the sought after Granville community. This nicely upgraded home is set on a premium over-sized lot at the end of a coveted cul-de-sac and features a spacious 2.5-car garage. 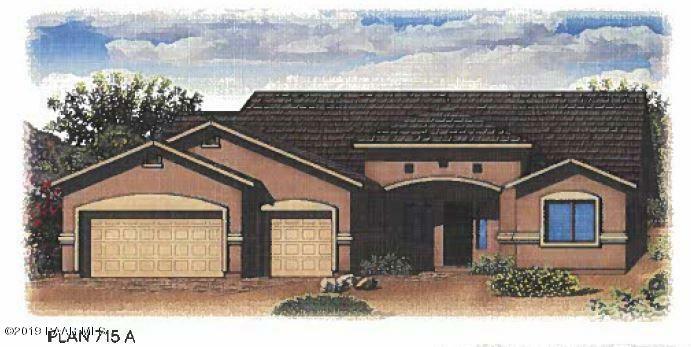 The popular Universal Homes 602 floor plan offers a very efficient 1,471 sqft. The bright kitchen features quartz counter tops, a walk in pantry, undermounted stainless steel sink, bar, gas range, and a Whirlpool French door stainless refrigerator. The master suite is appealing with dual sinks, a walk-in sho"
"This home is under construction - Estimated completion date Mar 2019. Great new floor plan in Unit 10! 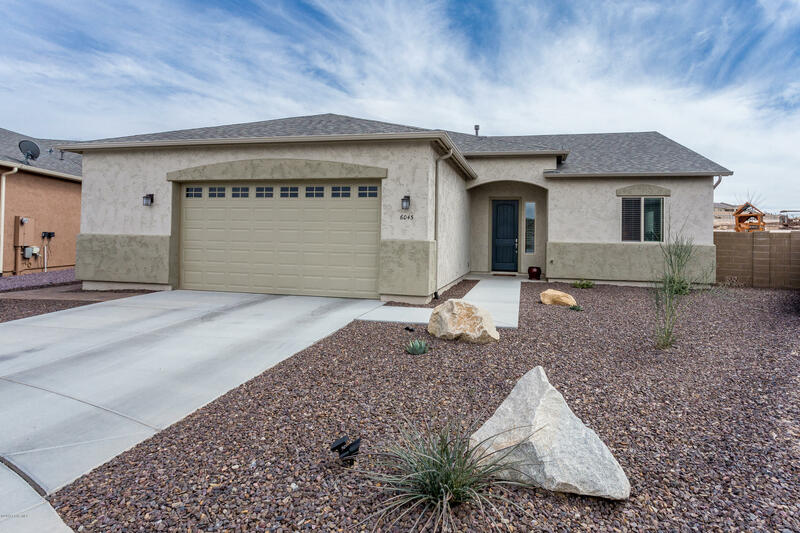 3BR/2BA Price includes options/upgrades: a 4' extension on the 2 car garage, larger extended patio, paint upgrade, maple cabinets throughout, waterproof luxury vinyl plank flooring throughout with carpet in bedrooms, corner fireplace and front yard landscaping package with drip system. Granville amenities include: 3 clubhouses, fitness room, pools, hot tub, tennis courts, basketball courts, p"
"This home is under construction - Estimated completion date June 2019. Great new open floor plan in Unit 10! 3BR/2BA. Price includes options/upgrades: a 4' extension on the 2 car garage, larger extended patio, paint upgrade,maple cabinets throughout, waterproof luxury vinyl plank flooring throughout with carpet in bedrooms,corner fireplace and front yard landscaping package with drip system. Granville amenities include: 3 clubhouses, fitness room, pools, hot tub, tennis courts, basketball cour"
"Beautiful home at end of cul de sac on oversized lot with mature trees and rose bushes. Landscaped front and back. Views of Mingus and Granite Mountains. Open space on one side. Breakfast room. New paint inside and out. Plenty of pantry storage." "Nice home on 1/4 acre lot in Granville with over sized 2.50 car garage. Wet bar, granite counter tops, jetted tub in master. Additional blown in insulation as well as insulated garage door. Gorgeous views." "This beautiful Granville home will be sure to impress! 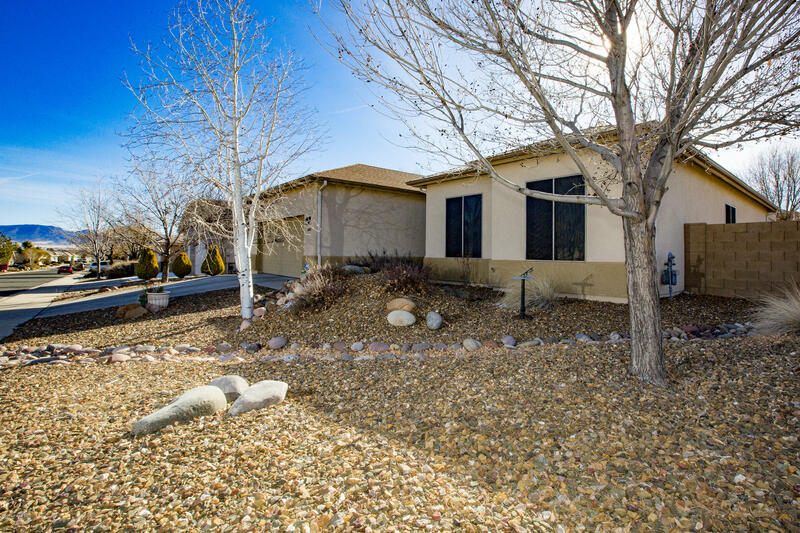 Situated on a cul-de-sac corner lot with great views of the Mingus Mountains, less than a 5 minute walk to the club house and a backyard that is perfect for entertaining or just relaxing. The interior is setup with an eat in kitchen, all white matching appliances, breeze way to the living room and lots of counter space. The flooring throughout is an 18 inch tile, laminate wood and carpet in the master bedroom. You will enjoy spacious guest "
"This home is under construction - PHOTOS ARE OF THE MODEL HOME Estimated completion date July 2019. 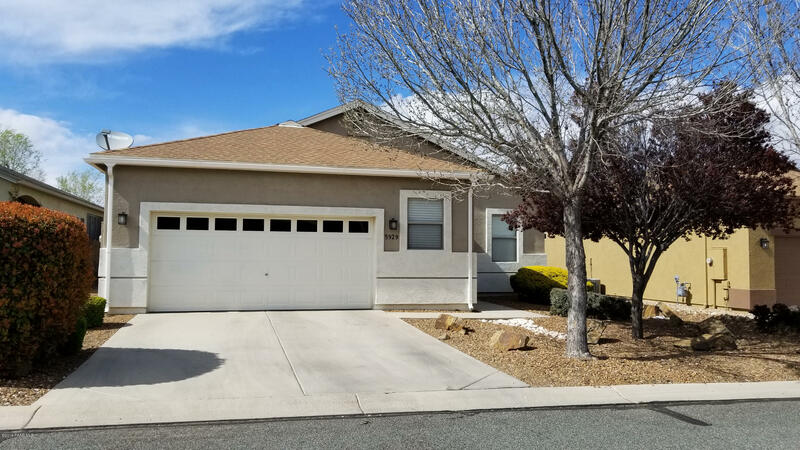 3BR/2BA Price includes options/upgrades: paint upgrade, maple cabinets throughout, waterproof luxury vinyl plank flooring throughout with carpet in bedrooms, and front yard landscaping package with drip system. Granville amenities include: 3 clubhouses, fitness room, pools, hot tub,tennis courts, basketball courts, playgrounds, racquetball court, pickleball court, dog park, close to walking trail"
"This home is under construction - PHOTOS ARE OF MODEL HOME -Estimated completion date June 2019. Great new floor plan in Unit 10! 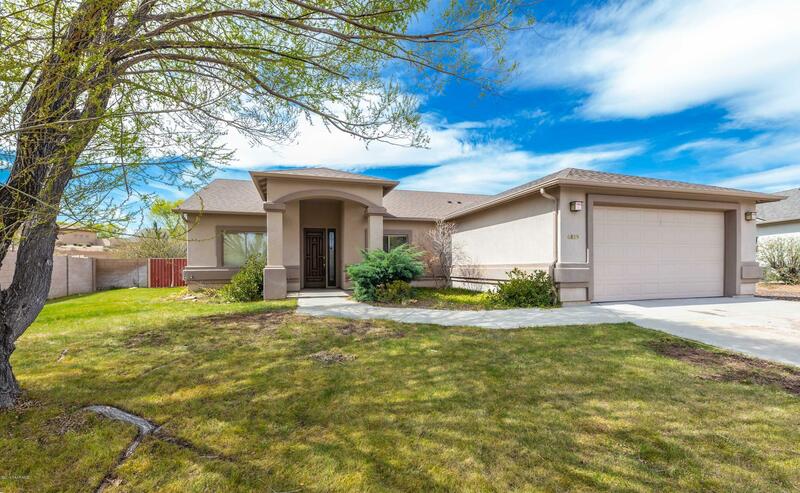 3BR+den/2BA- Price includes options/upgrades: 2.5 car garage, paint upgrade, maple cabinets throughout with pantry option, waterproof luxury vinyl plank flooring throughout with carpet in bedrooms, front yard landscaping package with drip system. Granville amenities include: 3 clubhouses, fitness room, pools, hot tub,tennis courts, basketball courts, playgrounds, racq"
"This home is under construction - PHOTOS ARE OF MODEL HOME -Estimated completion date June 2019. Great new floor plan in Unit 10! 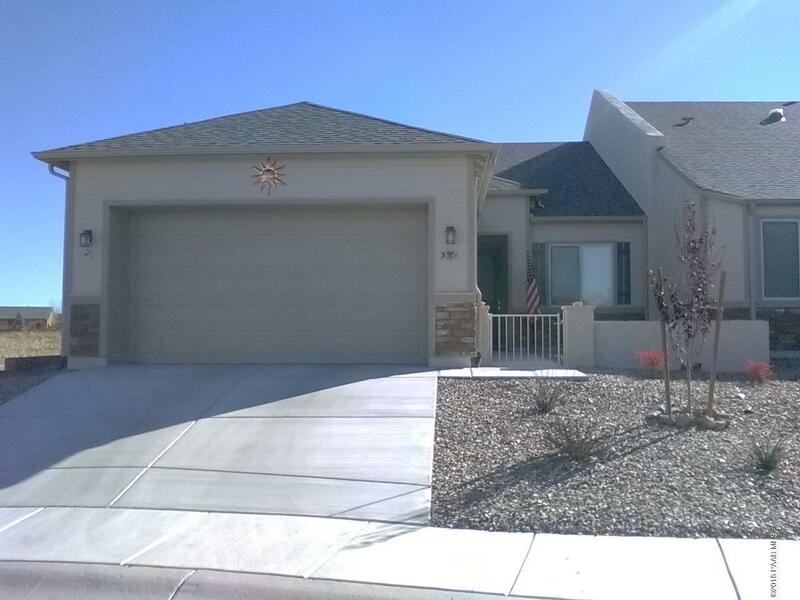 3BR+den/2BA- Price includes options/upgrades: 2.5 car garage, paint upgrade, maple cabinets throughout, waterproof luxury vinyl plank flooring throughout with carpet in bedrooms, front yard landscaping package with drip system. Granville amenities include: 3 clubhouses, fitness room, pools, hot tub,tennis courts, basketball courts, playgrounds, racquetball court, pi"
"CHARMING & SPOTLESS PATIO HOME Built in 2016, this light and bright Granville patio home on a cul-de-sac. 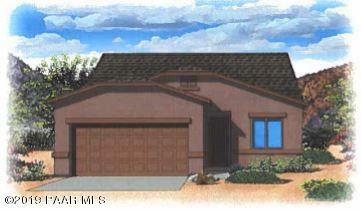 Features a 1,361 square foot split floor plan with 3 bedrooms/2 baths. The cook in your family will especially appreciate the excellent storage and work-space available in the welldesigned kitchen with and convenient eat-at counter space provides seating in addition to the inviting adjacent dining area. 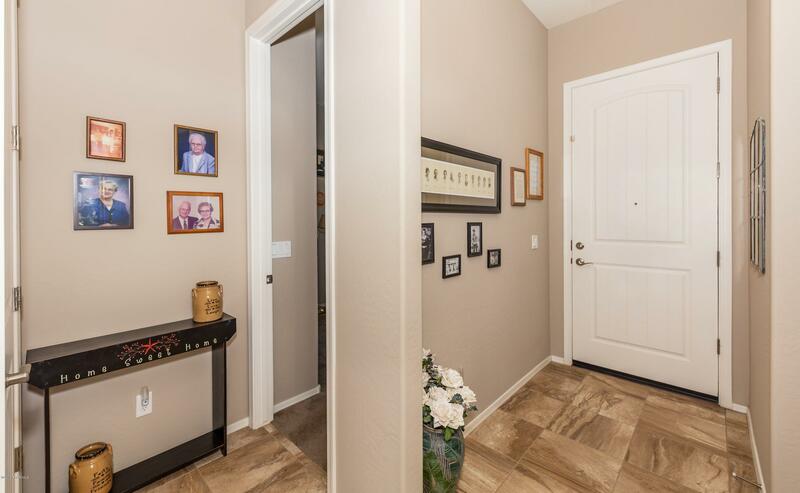 The on suite master bath is complete with a large walk-in shower and a spacious walk-in"
"Peaceful living in one of Prescott Valleys most charming and desirable neighborhoods. This well kept home sits on a premium lot with no houses behind. Home features an over sized garage for extra storage. 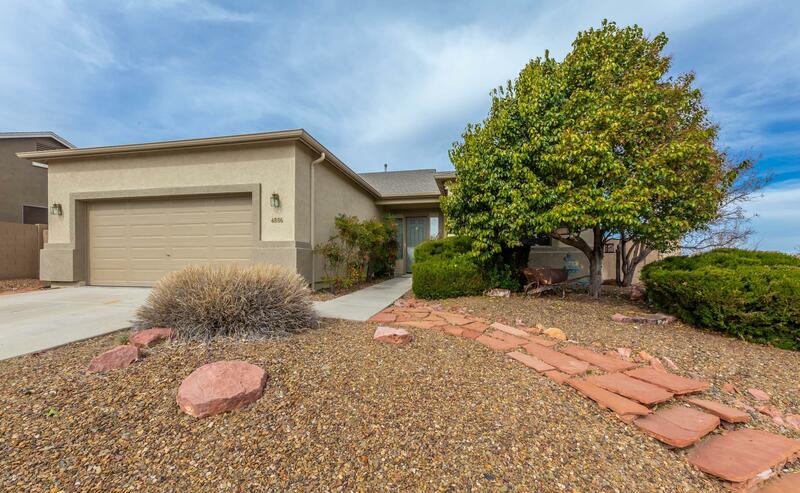 3 bedrooms and 1.75 baths, 10' ceilings, block fence, covered patio. Kitchen has just been updated with new stainless steel appliances, sink, faucet, and quartz counter tops. Easy to care for luxury vinyl plank flooring and carpet in the bedrooms."